Photo Caption 1: Panel discussion was conducted during ‘Measles & Rubella Campaign’. 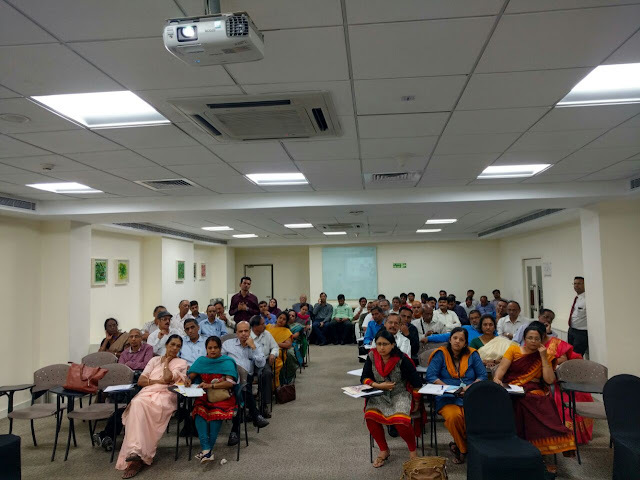 Caption 2: ‘Measles & Rubella Campaign’ was conducted to raise awareness among external referring pediatricians and general physicians at Columbia Asia Referral Hospital, Yeshwanthpur. Bangalore: Measles is a highly infectious disease caused by virus. It is estimated that nearly 49,000 children die from post-measles complications annually, making it one of the leading causes of child deaths in the country. The disease can be prevented by immunizing children with measles vaccine, which is safe and effective. Rubella is an equally infectious yet mild viral illness affecting both children and adults. Rubella infection when acquired in the first trimester of pregnancy can cause congenital rubella syndrome (CRS) leading to spontaneous abortions, stillbirths and babies born with serious multi-organ congenital anomalies, including blindness and deafness, etc. causing a life full of disabilities. Nearly 30,000 annual incidences of congenital rubella syndrome (CRS) are reported across the country. This can be completely preventable with rubella vaccine (as MR vaccine) having > 95% efficacy. Keeping this in mind Columbia Asia Referral Hospital, Yeshwanthpur in association with ‘’Government of Karnataka, The United Nations Children's Fund (UNICEF), World Health Organization (WHO), Indian Academy of Pediatrics (IAP) & Bangalore Medical College (BMC)” conducted the ‘’Measles & Rubella Campaign’’ on 9th February 2017, Thursday at the hospital to create awareness among external referring paediatricians and general physicians. “There has been a rise in the number of cases reported on Measles and Rubella. Thus, creating an awareness about the topic is the need of the hour. Getting children and adults vaccinated early can play a major role in preventing the disease. 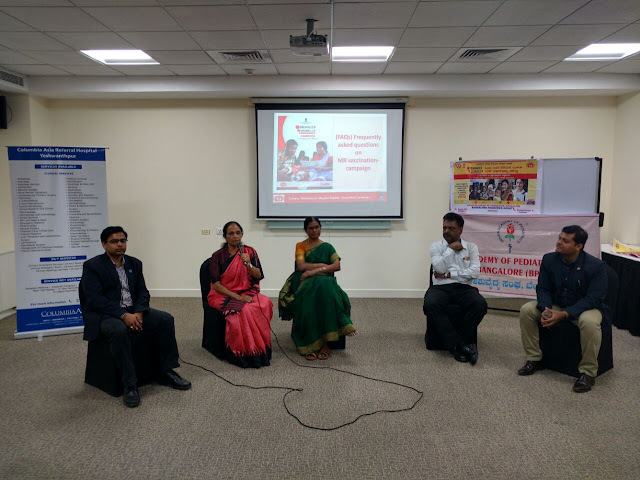 We as a healthcare service provider take pride in supporting this great cause and endorse Government’s vision of eradicating Measles and Rubella by 2020,” said Dr. Kanchan Sanyal, CMS, Columbia Asia Referral Hospital, Yeshwanthpur. Speaking at the event Dr. Asish Satpathy and Dr. Lokesh, WHO representatives highlighted on the rational of MR campaign & operational aspects of MR campaign. Dr. Anil and Dr. Sudarshan, UNICEF representatives stressed upon the importance of vaccination in private sector. A moderated panel discussion was also conducted which was led by Mr. Anil Billimale from UNICEF. The panellists included Dr. Prema Latha, Dr. Asish Satpathy, Dr. Lokesh, Dr. Ravishankar and Dr. Geetha Patil.